This letter to the editor was submitted to The Australian on 29 October, 2018. Cohda Wireless’ ‘world-first’ demonstration of its unique driverless car software on the weekend is a great example of how quickly technology and safety advancements are moving when it comes to driverless vehicles (“Successful trial of driverless car ‘proves’ roads can be safer”, 29/10). That’s one of the reasons why Infrastructure Victoria recommended this month that governments closely monitor these and other ICT technologies to guide investment and infrastructure decisions to support driverless vehicles in our Advice on Automated and Zero Emissions Vehicles Infrastructure report. With home-grown innovation bringing us closer to a driverless vehicle future, we need to watch these new technologies closely and be prepared to roll them out when they’re proven and ready to be deployed at scale. 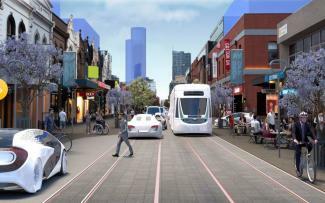 That would put Australia in the pole position to reap the impressive safety (and many other) benefits driverless vehicles are predicted to bring.